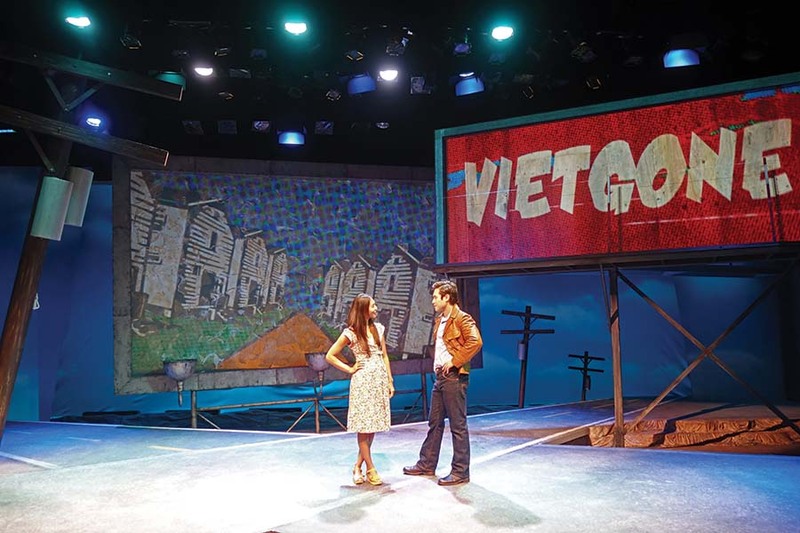 Diep Tran reflects on how the musical “Miss Saigon” perpetuates Orientalist stereotypes and narratives in which the Vietnamese are victims, not fighters. This article was originally published by American Theatre. Diep Tran is the associate editor of American Theatre. She received her degree in arts journalism at Syracuse University. Her writing has appeared in New York Times, Time Out NY, Backstage, Salon, and TDF Stages. Diep read Sarah Kane’s Blasted when she was 20 and that hooked her onto theatre. Follow her on Twitter at @diepthought or visit her website at www.dieptran.com. From “I Am Miss Saigon, and I Hate It” by Diep Tran. Originally appeared at AmericanTheatre.org. Used with permission from Theatre Communications Group. I hate this film from the very beginning. Good to see someone like Diep Tran expressing out loud our feelings . Long way to go my friends . There are too many whitewashed Asians around. Too many! Finding your identity and be able to shining it is a very challenging process but it’s fun and rewarding. Thanks for your article, Diep Tran . One more BIG question. Did the producers of “Miss Saigon” ever use some of their profits to help the boat people or the refugees? The song, “But-Doi” certainly sensitized the audience to the plight of the mixed-race children left behind; but did the play provide funding to them directly or to relief agencies? 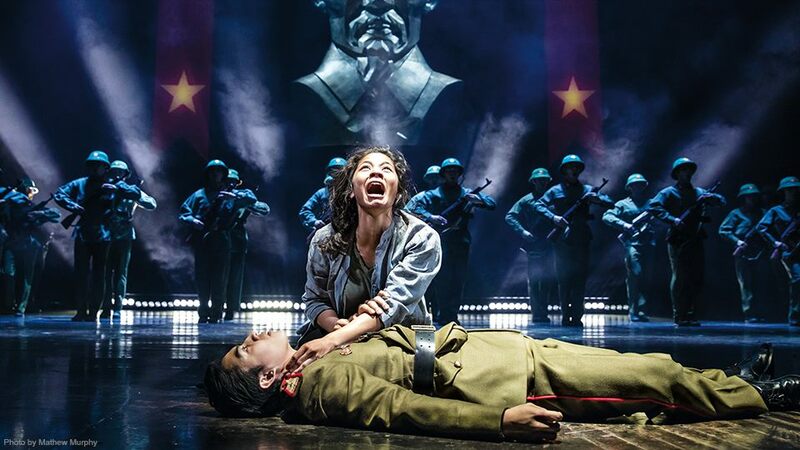 After many years of ambivalent feelings about the play, I finally decided to see “Miss Saigon” this month. The acting, choreography, singing, and stage sets, were precise and inspiring. I was troubled when the North Vietnamese were portrayed as the evil side of the American good. 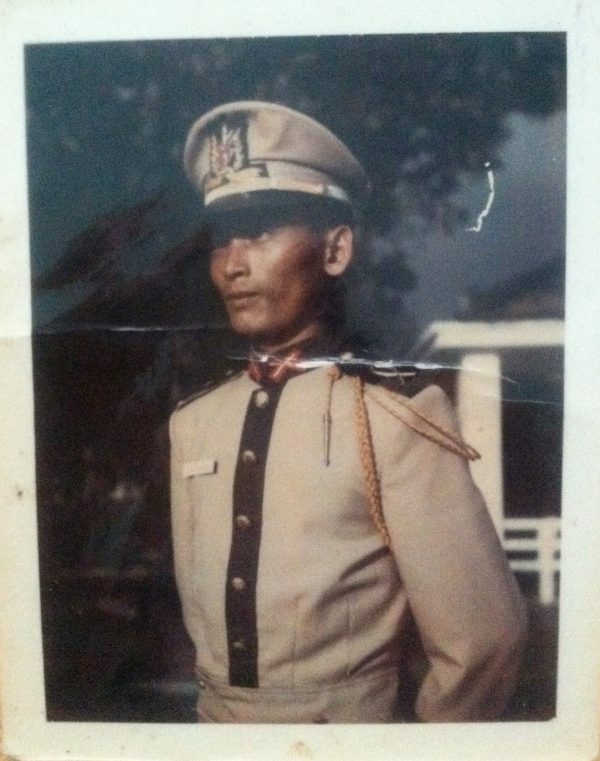 Having been betrayed after WWII, the Vietnamese were fighting for their country’s independence. Did they achieve freedom? Did the better side win? Did the victory provide what was desired? That’s all debatable. 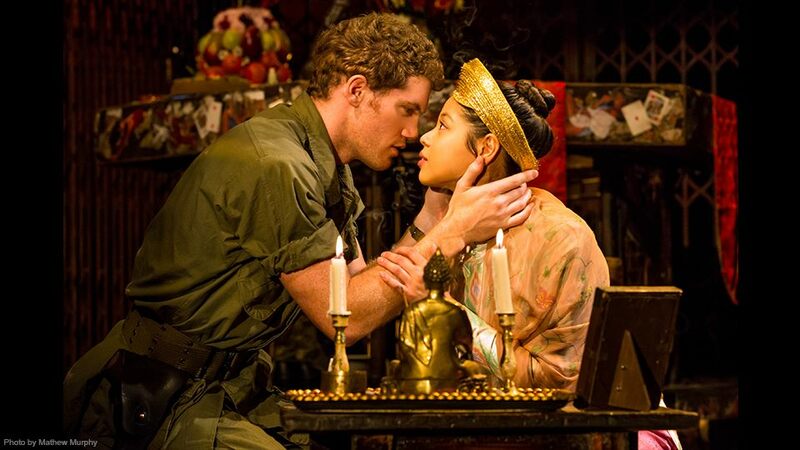 But here’s the thing: “Miss Saigon” is basically an existential play. It presents characters in an absurd and totally contingent reality. There were GIs who were doing their “duty”; but became very skeptical about what that duty was. There were Vietnamese people struggling, by any means necessary, to merely survive or to transcend a reality that was strangling them. Did some of the women become prostitutes? Of course. Did the rules get confusing? Definitely. Did an apocalyptic sense surround every one in the final year of that disastrous war? Without a doubt. But, amidst that chaos and dread, Love might still find a way. So, despite my misgivings about aspects of the play, there was a larger message about the human spirit that reminded us of the resilience of our species, even when the world appears insane.